Lazies, Rumor has it that I’m a bit of an over-thinker. I’m good with that, it’s part of my mojo, I suppose. 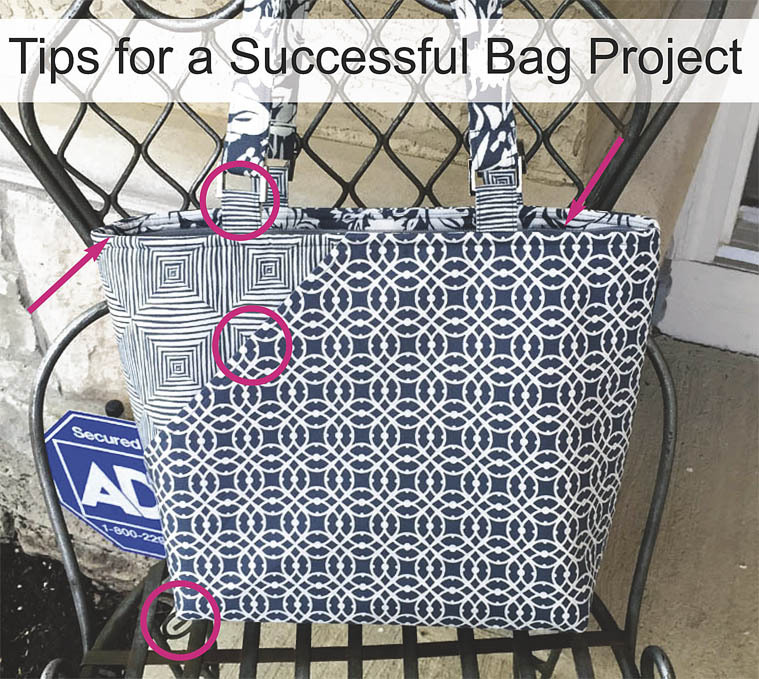 In the next couple of blog posts, I’ll share my over-thinking mojo for some of the key elements of pulling this Candice bag project together, why and how I choose one thing over the other, and all the juicy good stuff like that. You see, I plan to carry this bag for a while and I want to be happy with it. I love the challenge of pulling a project together and exploring the options along the way. Upon first glance this purse may look rather unassuming – because it is nice looking. The prints work together, no single element awkwardly stands out. It looks nice. That’s what I want – a good looking bag. While it may not look like there is any single big thing going on here, it is harmonious and successful because of a lot of little decisions along the way. Every decision is a design opportunity. Every limitation must be dealt with. Deciding along the way at each of these elements impacts the final design. I enjoy the opportunity and challenge of each element, and exploring every step of the process increases my satisfaction with the final project. Here’s how everything turned out. Now, let’s go back to the beginning and see where it all started. 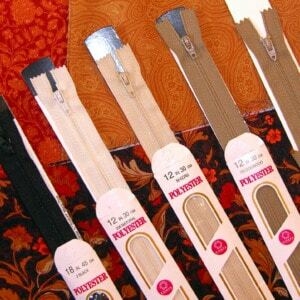 I audition fabrics, thread and zippers to see who plays well together. I started with fat quarter cuts of the gray/blue pieces from the Paradiso collection by Kate Spain for Moda. Yum! 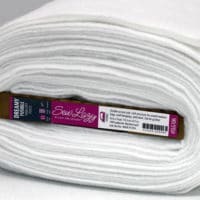 Then I went to my trusty Aurifil threads and chose two to consider. Both threads work for my purposes. I chose the darker of the two and used it for all construction, including topstitching. 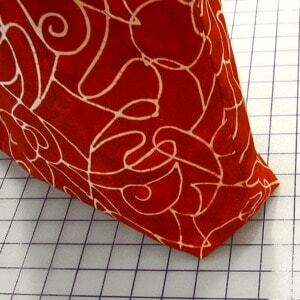 I like the 40 weight thread, which is a little thicker than the 50 weight thread – which is ideal for quilt piecing. 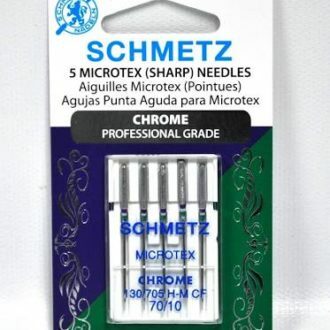 The 40wt looks heartier and healthier for topstitching. 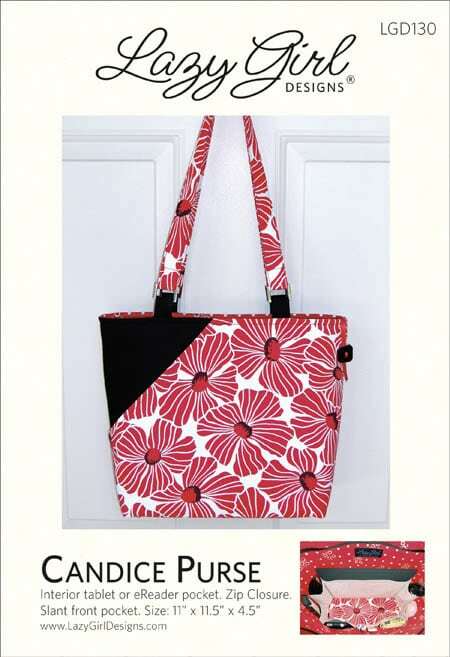 As shown here, Candice features two fabrics for the outside of the bag. 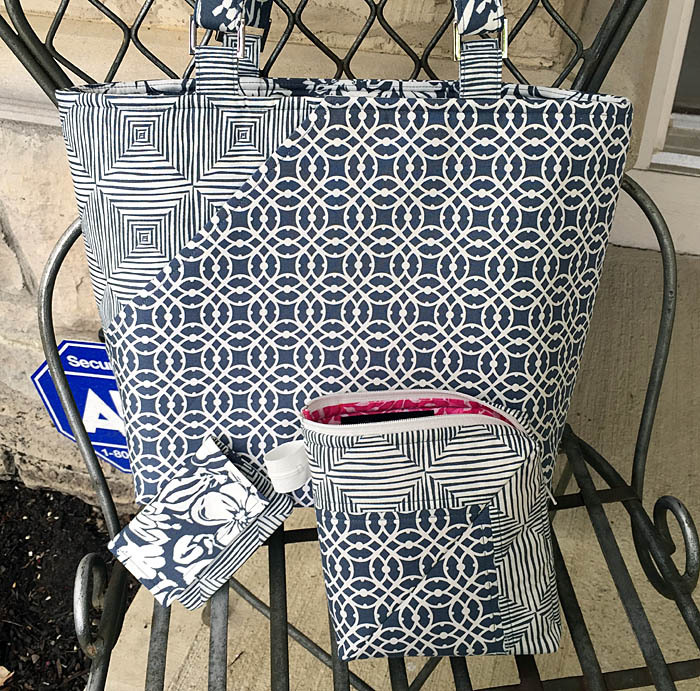 I’m working with a limited number of fat quarter cuts, so I planned to use the three darker fabrics for the exterior and the lighter fabrics for the inside of the bag. Then I’ll see what I have leftover for accessories. 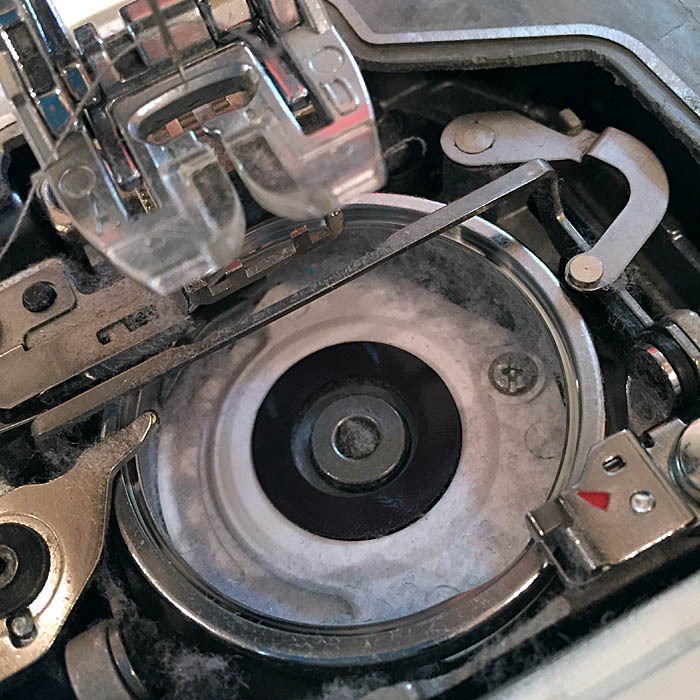 You might think this is a close-up of a cotton candy making machine, but it’s the lint in my bobbin area. Ugh. 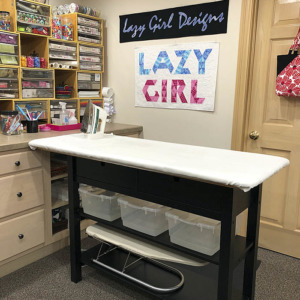 All the threads, materials, fleece/batting and fibers can create a little bundle of joy around the bobbin area while sewing. Get in there and clean this out regularly. Cuz, if the bobbin aint happy, aint nobody stitchin. You’d be amazed at how bad this can get. Ah, zipper time. 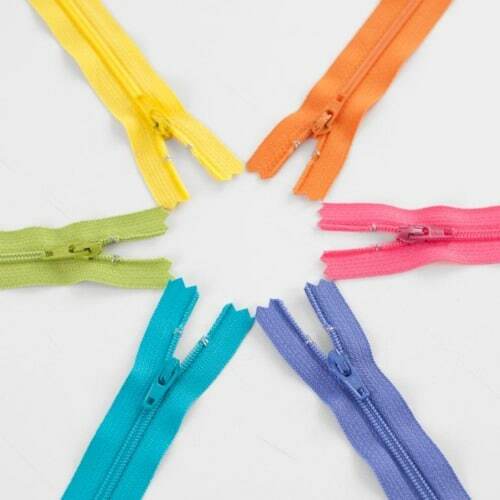 There are several parts of a zipper that may appear different in color – the pull, teeth, and fabric tape. 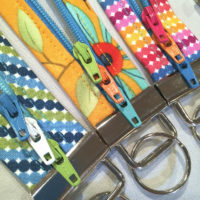 So, how do you match a zip to your project? 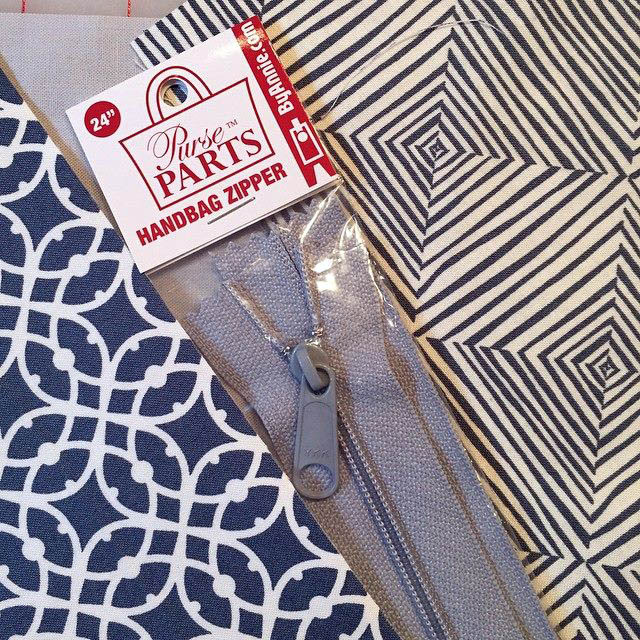 This gray zipper from Patterns By Annie is a great choice for these fabrics. 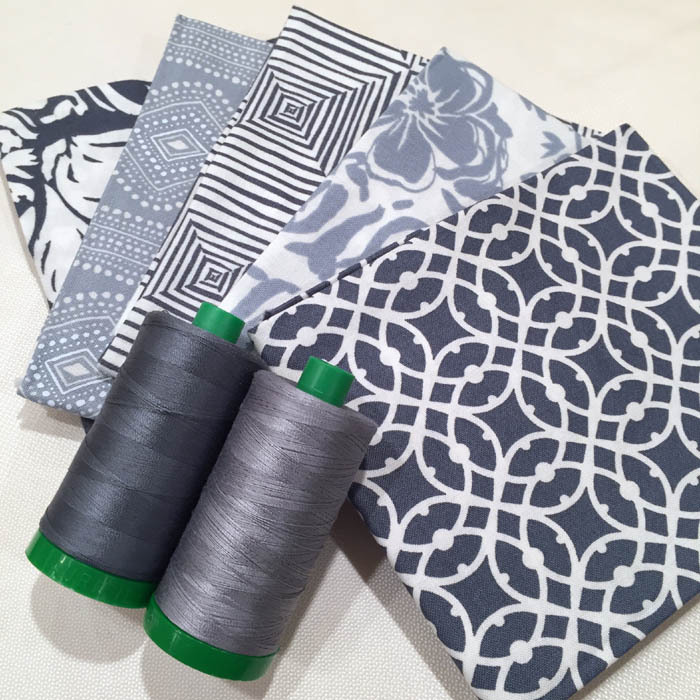 The gray fabric tape is not a perfect match, but it’s in the color arena. Surprisingly, the space between the zipper teeth is what I’m matching here. 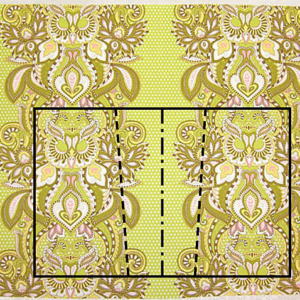 Look at the dark gray color at the center of the zipper – that is what matches! 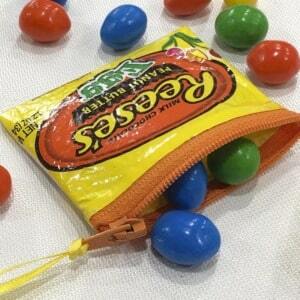 And because it matches so well, and the rest of the zipper blends, the whole zip will look perfect. The dark space at the center of the teeth is an illusion. The darkness is created by how the light hits the teeth, or doesn’t hit the teeth. It’s darker in there because it’s recessed away from the surface of the teeth. There is no color difference for that part of the teeth. It’s a lack of light in there makes it appear darker. Doesn’t matter why it looks darker, it matches because of the light play. Sweet! I used two of these zips on this Candice – one for an experimental outside back pocket and one to close the top of the bag. 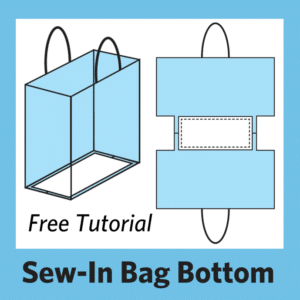 I’ll use different fabrics at each zip installation. I based my zip color choice on the back pocket because it had a more limited palette of fabrics near the zip, therefore it needed to match the best there. 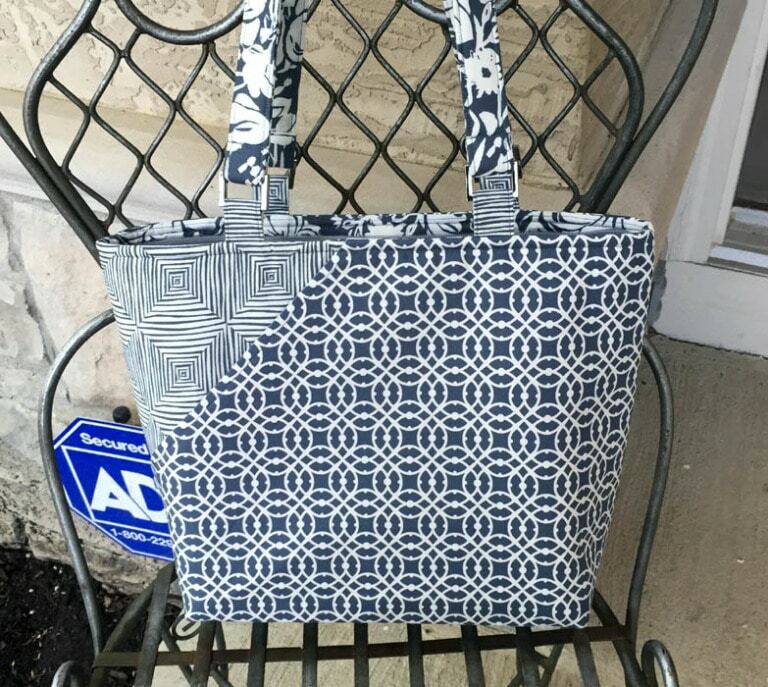 I have made this bag and just love. My granddaughter loved it too so I’m going to make me another one! Love the pattern! Love the style of your bags.